* 3 game lands, 21 Levels and more! * More than 20 foods for your perfect skewer! If you have sliced fruit day and night as much as we have done, it is time to try something new and fun. Let’s skew food, make “Perfect” BBQ stick and get tremendous amount of excitement from Juggling BBQ. 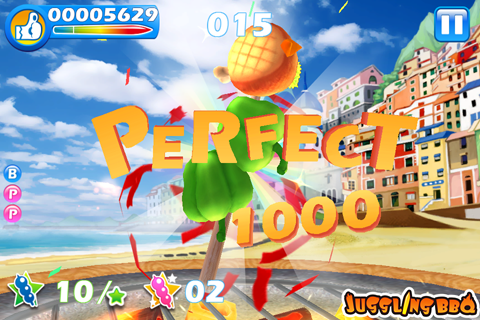 Juggling BBQ is a fast-paced tempo game. Food keeps being thrown on the air. Be agile and accurate while pinning the food. The more accurate pinning you perform the higher score you will get. But watch out, there will be disturbed coal thrown out as well. One careless pinning on coal, you will get “Boomed!” Discover interesting food while trying to skew them, surprise awaits! 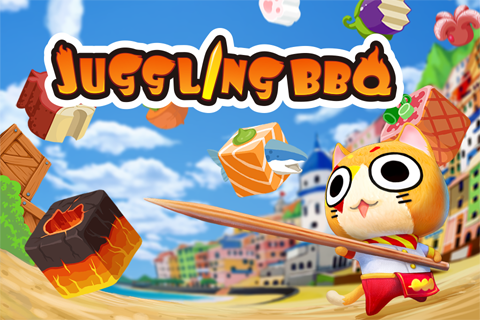 As Juggling BBQ is released around the time of Thanksgiving, we want to celebrate this thankful time with everyone. There will be bonus coins given to show our appreciation to those who like this game as much as we do.